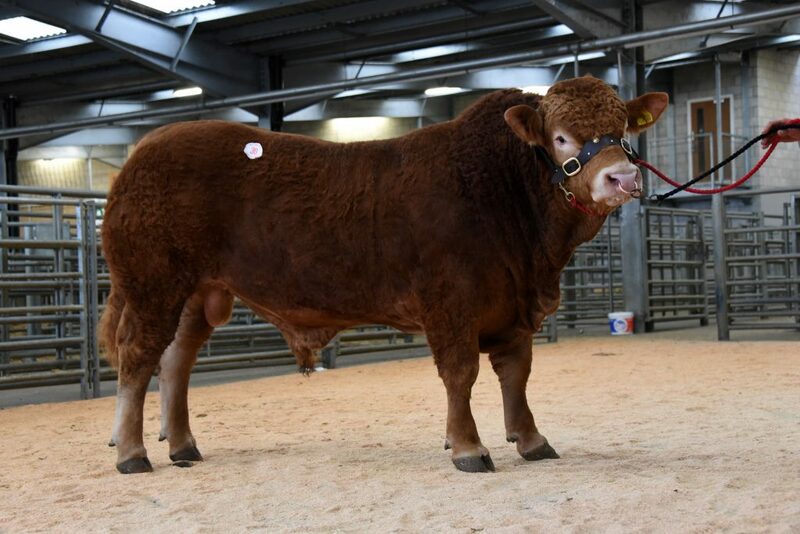 Heading up the NW Midlands & North Wales Limousin Club Autumn Show and Sale at Welshpool on Saturday 24th November was the junior bull Garnedd Nectar at 6000gns. 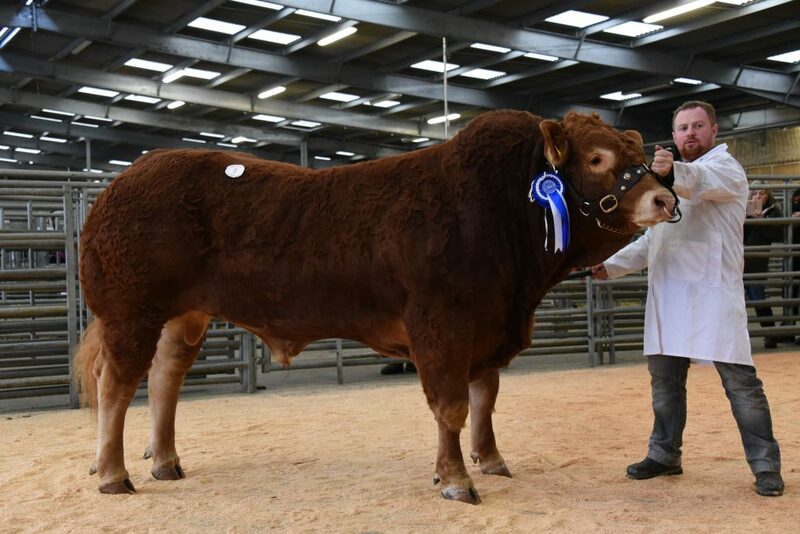 From Ken and Hefin Jones, Betws-Y-Coed, Conwy the June 2017 born Nectar, sired by Ernecalley Jaguar and bred from an exceptional milk cow Garnedd Efa, had won a second place in the pre-show sale under the watchful eye of Judge Mr Thomas Corbett of the Temeside Herd, Felindre, Powys. 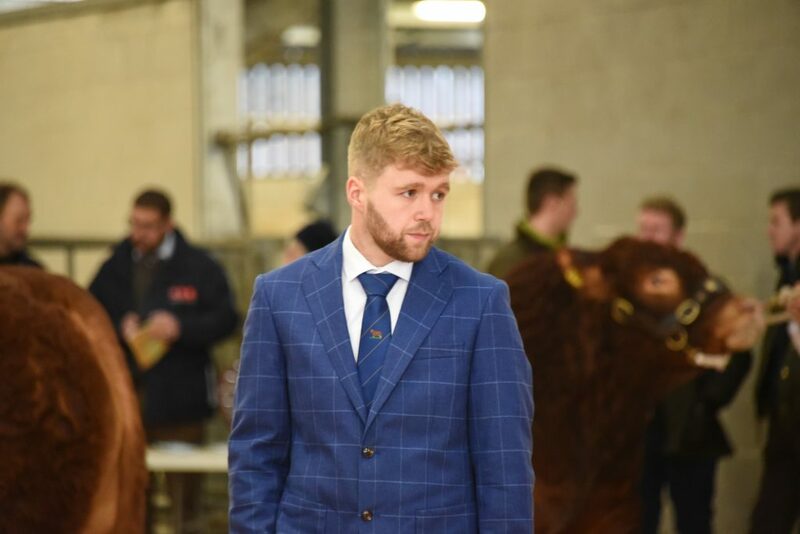 Securing the top priced animal was British Limousin Cattle Society Chairman Michael Cursiter for his Dwarmo herd, Evie, Orkney. 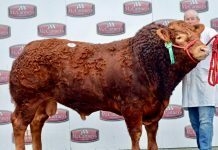 Following close behind at 5900gns was the pre-sale show Reserve Champion Garyvaughan Nitrogen from Colin Lewis, Buttington, Welshpool. The first lot of the day and born early in January 2017 the youngest bull for sale, Nitrogen, by Emslies Integrity, is described as a very correct stylish young bull with great length, width and conformation. He is out of Garyvaughan Ilesia herself by the prolific 35,000gns Plumtree Deus who has sired progeny to 40,000gns. Making the final bid for Nitrogen was D E Evans, Craven Arms, Shropshire. 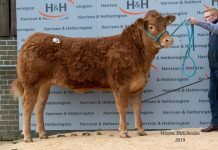 At 4200gns came another from the Jones family, this time in the shape of June 2017 born Garnedd Nebulon. A Trueman Idol son out of Garnedd Hafren, Nebulon, a long bull with plenty of muscle was bought by local farmers I E and M Gittins and Sons, Brooks, Welshpool. 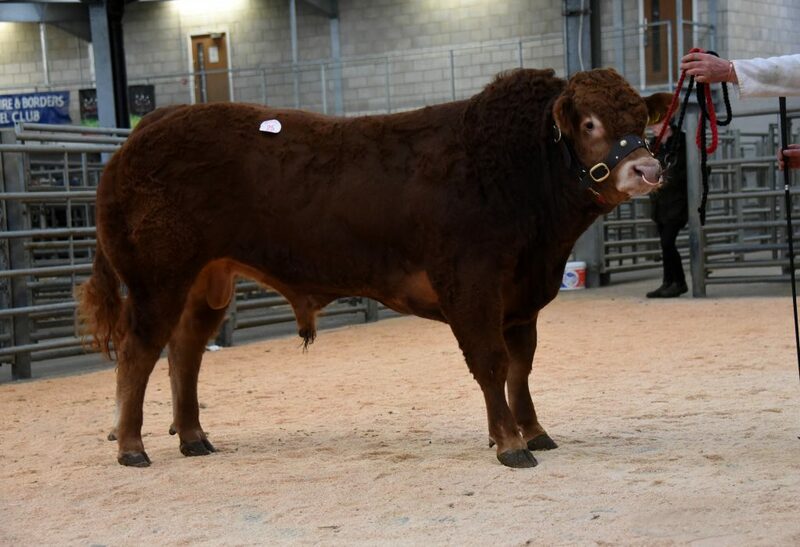 Next up at 3700gns was Sarkley Neptune from E H Pennie and Son, Montgomery, Powys. This June 2017 born bull is one of the first sons of the Sarkley herds retained bull Sarkley Jaguar, himself a Plumtree Fantastic son. Neptune’s dam, Sarkley Hunisha is a Sympa granddaughter. Taking him home was W G Trow and Son, Llandinam, Powys. 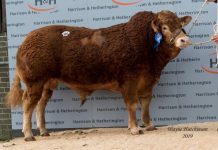 In a sale which saw a good clearance rate the hammer went down on 15 bulls selling to an average of £3885, up over £540 on the corresponding sale last year. 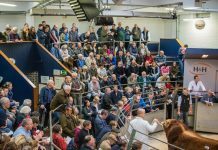 Once again, this is a solid demonstration of the demand and momentum for Limousin cattle right across the UK. At its heart it is driven by commercial producers and their focus on all round efficiency and profitability. 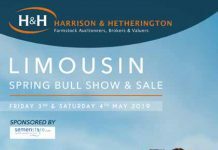 Breeders are bringing forward some first quality bulls and are finding their reward in the market place despite it being a challenging time for the industry. Market ready genetics means that commercial producers can confidently invest in Limousin as the ‘go-to’ breed.